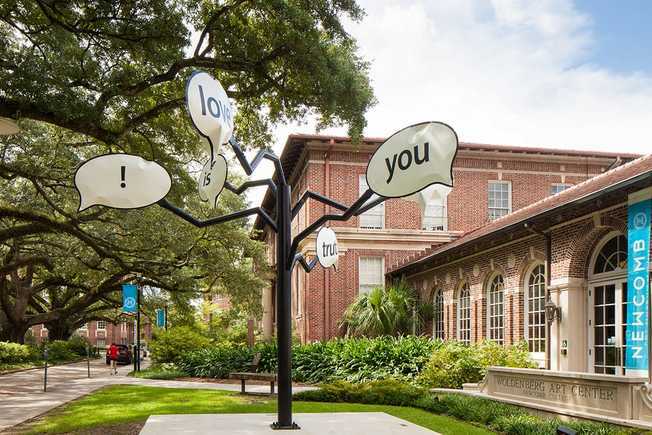 In 1996, the Newcomb Art Department completed an expansion of its facilities to included the addition of the Newcomb Art Museum (previously the Newcomb Art Gallery), an exhibition space dedicated to presenting contemporary and historic exhibits. Housed in the Woldenberg Art Center, the Newcomb Art Museum today presents original exhibitions and programs that explore socially engaged art, civic dialogue, and community transformation. The Museum also pays tribute to its heritage through shows that recognize the contributions of women to the fields of art and design.